Ralph has the touch of SOLD! Born and raised in Northern Illinois, he has resided in DuPage county for over 40 years and in Bartlett for the last 14 years. As a DuPage native, he understands the different neighborhoods and their particular features. Specializing in internet marketing, Ralph sets a new standard as a designated agent for sellers, maximizing the exposure of their home and for buyers, finding the perfect home for their needs. Known for his smooth transactions, Ralph routinely unites all sides of the real estate process, creating a seamless operation for his clients. He is approachable and adaptive, working well with all personality types. His knowledge of the market will save you time and money in searching for your new home. 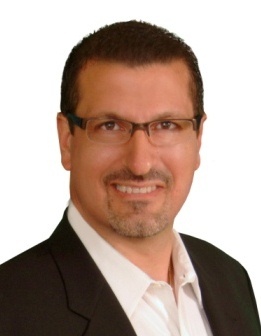 Ralph is an honest, professional business person, who has been selling Real Estate for over 20 years and was a broker manager for 7 years. He is hard-working, dedicated and a great listener. His approachable demeanor makes everyone feel comfortable. Your goals become his, with customer service as a top priority. Ralph will use his skills to make your dreams a reality! Searching for a new home or selling your current home can be a complicated and exhausting experience. It is absolutely essential to find a real estate agent that is deeply involved in the business and loves what they do to show you the way. I am here to do exactly that. I love real estate and it is my greatest goal as your agent to make the process of buying or selling your home a seamless one. Every transaction is different, but with my listening ear and adaptability, we can find the best solutions to all of your needs. As my client, you are my priority, but it is also essential that everyone involved in a transaction is united and feels comfortable throughout the process. I am always honest, upfront and hardworking, making sure that all parties are satisfied by the end result and avoiding any bumps along the road. As a long time DuPage county resident, I have great knowledge of the area. My experience is superior in the industry and I am willing to share the depth of my experience with you. No question you have will go unanswered. I am ready and willing to help you with all of your needs and look forward to working hand in hand with you through a successful and happy experience.